For many dog lovers, the topic of abuse and neglect is overwhelming, depressing, and nothing short of heart wrenching. Even for more empathic people, it can be easier to simply turn a blind eye to the situation and pretend it’s not happening, presumably hoping someone else will step up and handle the issue. But abuse often goes unreported and uncorrected simply because no one says anything. If you don’t help, who will? If not now, when? When you are one person, attempting to make a difference can be daunting. At this moment, millions of dogs, cats, horses and other pets and farm animals are being kept in horrific situations. Saving them all is simply a task outside the reach of anyone person. You hear about the larger organizations with their marathons, commercials and billboards, and wonder how will you be heard since you are just one person. And many people are simply not interested in animal welfare at all, or they find it too painful to even address the topic. There are countless roadblocks and excuses that if one is not careful, could encourage even an empathetic pet lover to avoid, prolong or simply fail to do anything about correcting an abusive situation. 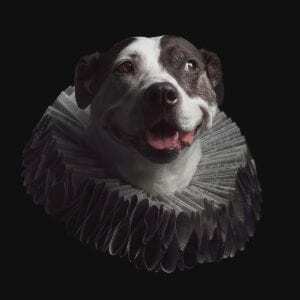 But by becoming aware of these excuses and roadblocks, it is possible to to fortify your resolve and make a conscious decision to help those pets in need no matter what. It takes minutes to place a call to report abuse, neglect or cruelty and most municipalities will allow you to report the crime anonymously online. 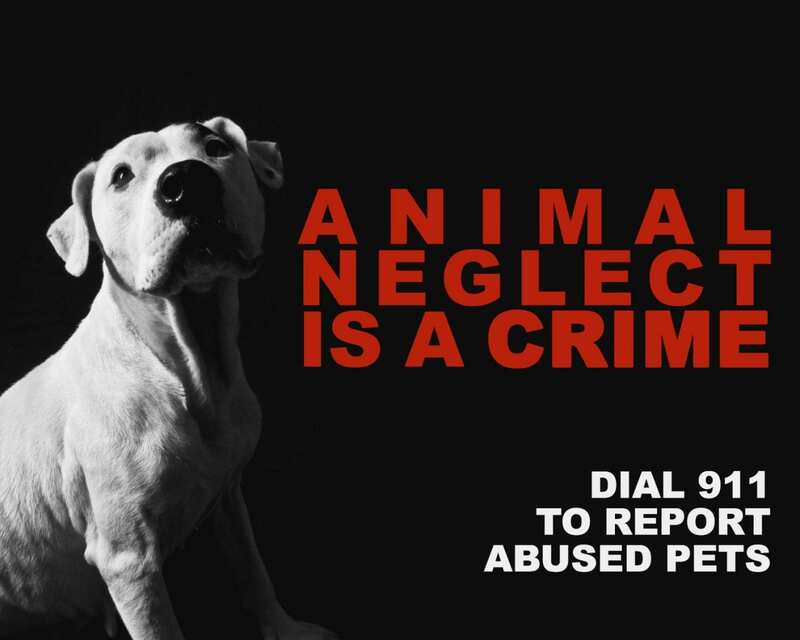 To file an animal complaint by phone in the Baltimore area, report the crime by dialing 911 or call Animal Services directly at 410-887-7297 (PAWS). Offer to spend time with an animal confined 24/7 in the same spot. Neglect can take an emotional toll on anyone, even a dog, cat or other animal. Spending just a few moments regularly with a pet chained to the same spot or confined to living alone outside can go a long way towards supporting their emotional and mental well being. Remove the animal from the abusive or neglectful environment. Depending on where you live, this may be illegal. though in some states it is legal to smash the window of a car to rescue an overheated dog or child. When in doubt, consult a lawyer or contact your local police station. Be sure to take plenty of photographs of dogs and the abusive conditions before removing the animal. If a “he said she said” situation develops, taking pictures of dogs may provide the photo proof you need to help substantiate your claims that you were in fact rescuing the animal and not stealing it or needlessly damaging property. Take a moment to educate someone on proper care of an animal. The abuser may not even realize what they are doing is wrong or that they are not foster a safe environment for pets. Always be polite and approach the situation from an educational position. Remember the goal is to change the owner’s behavior, not to shame them or hurt their feelings. Provide food or fill a water bowl. This is such a simple thing, but it can literally mean the difference between death and life for an animal. Provide shade when it’s hot out and warmth when it’s cold. If you can’t get to a dog and removing it from a neglectful environment is not an option, consider tossing it a blanket in particularly cold weather. While not an optimal solution, this small act may just save the dog’s life. Always stop if you see an injured animal that has been hit by a car. Other passing drivers may not even realize the animal is there. Just a few minutes may mean the difference between a pet living or dying, and may be what saves a limb from amputation. Keep your eyes open when you are out and about. bloated bellies may be a sign of worms, especially in puppies. wounds or other acute injuries might suggest recent trauma. an underweight animal may not be malnourished. patchy, dirty or matted fur may suggest neglect. Support other pet and animal advocates. Sign and share animal petitions. Donate money, products and other resources to local rescues, foster programs and support charities. Patronize local businesses, services and products that support pet advocacies and charities. Speak up. Your voice may be the only voice to help. Social media can be a great platform to leverage build awareness and educate friends and family on these important issues.